The majority of our days is spent at work. Even so, a surprisingly small number of us think about the environmental impact of our office lifestyles on the planet. Although there are many reasons as to why management should adopt sustainable business practices (reducing bills being one of them), companies seem to struggle to implement green measures into their daily routine. 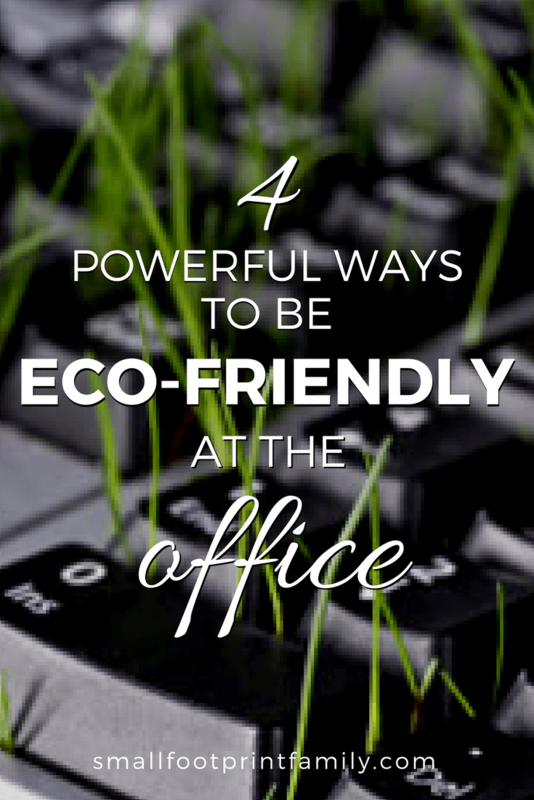 Thankfully, even if your company hasn’t “gone green” as a whole, there are things you can do and habits you can adopt as an employee to make your workplace more eco-friendly. 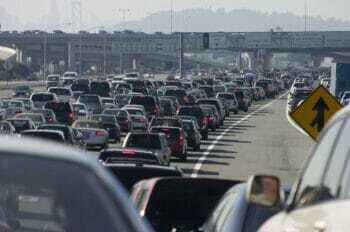 Research states that every working American spends approximately 47 hours per year commuting through traffic. This adds up to 3.7 billion hours and 23 billion gallons of gas wasted in traffic each year. Carpooling, using a bike, and using public transportation are some of the ways to reduce this stress on the environment (and on you, too!). Some companies even offer incentives for employees who bike or use public transport. If you are in a position to change your ride, consider getting a compressed natural gas (CNG) vehicle. Compared to gasoline, CNG reduces carbon-monoxide emissions by 90 to 97 percent — that’s a lot! Furthermore, natural gas is also domestically produced, for the most part, so driving a CNG car means you’re not dependent on foreign oil. Another increasingly popular option is to lease an electric vehicle. With ever increasing mileage range, and zero maintenance costs, an electric vehicle is great for commuting and running errands. More and more companies are installing charging stations in their parking lots too, making electric cars increasingly convenient and affordable. 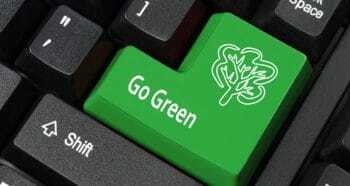 Another environmentally healthy option is to telecommute. With more millennials entering the workforce, companies are increasingly allowing employees to work remotely in order to appeal to their workers’ desires of freedom and flexibility. This new trend is a boon for the environment as it results in less air and noise pollution. Additionally, telecommuting is said to increase productivity due to better usage of time that would have been spent commuting. This is one of the easiest things to implement individually at work. Start by getting a separate trash can for work to use as a recycling bin at your desk. I especially love these cute recycle basket bags for under the desk, that also make it easy to carry your separated trash outside. In terms of office supplies, there are a wide variety of green options you can choose, ranging from biodegradable pencils to 100% recycled copy paper to eco-friendly desk cabinets. If you are in charge of procurement or office management, you can select eco friendly office supply products for the whole office, usually for the same cost or just a bit more than the more wasteful versions. Small changes, like using a whiteboard or tablet for note-taking as opposed to a notebook, go a long way if implemented companywide, saving more paper than you can imagine. If you have a cubicle or desk near a window, choose to use natural sunlight as your light source, as opposed to electric bulbs. Give up paper towels and plastic bags and bring in your own cloth napkins and reusable totes. Turn off your computer before you leave. If your company backs up your computer to the network after everyone leaves, leave the computer on but turn off the monitor. At least the screen won’t be sucking standby power all night. Even your work attire can be recycled. Going to local thrift stores is the perfect way to upgrade your wardrobe and also give back to the community, all while keeping your expenses low. These are things you can control which don’t require signing off by upper management, though most superiors shouldn’t have a problem with these measures anyway. Most people confuse Corporate Social Responsibility (CSR) with philanthropy. CSR is aimed at corporations and businesses, and helps directly address the local and environmental side effects of a particular business when successfully put into place. CSR should become ingrained in the values and culture of a company. If your company doesn’t have an active CSR policy, or even if it practices CSR in a more social than environmental way, encourage upper management to implement and/or widen their focus. You could use the company’s lack of CSR as a way to get involved in company culture and managerial decisions, showing superiors that you are strongly vested in the well-being of your workplace and surrounding environment. 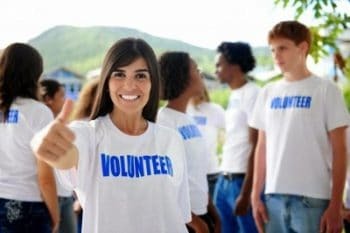 Offer to head an employee committee to discuss potential CSR and volunteering initiatives—this shows that you are concerned with the company’s public image, and can put you in good stead with higher-ups. If your proposals are accepted, it can also benefit the environment. While it’s not always possible to influence management, you do have the power to engage your coworkers and peers. Rally them to take part in environmentally friendly team-bonding exercises after work, like street cleanups, tree plantings, or recycling drives. Being an active and concerned employee is a great way to hone your leadership skills, as well as benefit your surroundings. Your meal choices at work may seem like a trivial thing, but in fact can really help make a positive difference. Fast food is the go-to option for most employees on a quick lunch break, but sadly, this choice comes with a whole slew of environmental issues. From wasteful and toxic packaging to resources lost in production and transportation, the consequences of patronizing the fast food industry are dire. In numerical terms, fast food packaging is estimated to make up about 40 percent of all litter, with Styrofoam being the most common food waste. Styrofoam itself takes about 900 years to biodegrade, so you can only imagine how much harm this does to the environment. Carrying your own lunch in reusable containers helps offset this damage. If you are ordering in, make sure to do so with coworkers, to try and reduce the amount of packaging used. Finally, always try to choose locally grown and organically produced, fair-trade food products whether you bring a lunch or dine out. This aids in boosting the local economy and supporting local farmers, plus it reduces emissions and pollutants that would have been produced from the transportation of imported goods. 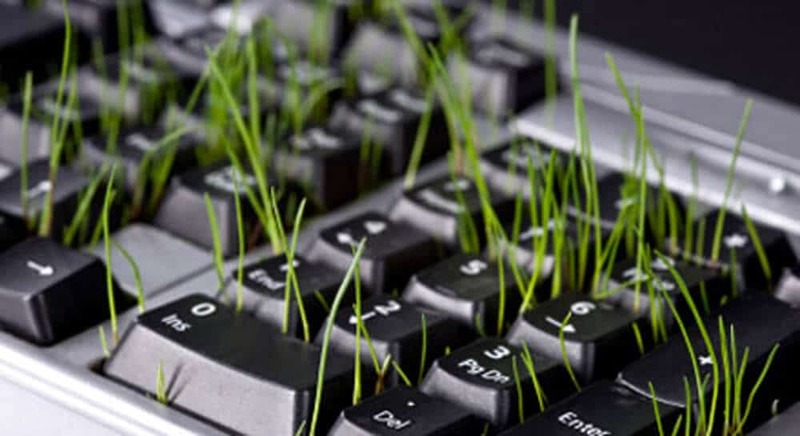 Even if your company isn’t inherently “green”, there are many things you can do to make sure your everyday work practices are more sustainable. Remember that even as an employee, you have the power to change the way you work and to make a positive difference. For controlling pollution we should use such a product which pollution free or doesn’t emit CO and CO2, for this we can use a compressed natural gas (CNG) vehicle, an electric vehicle, besides CNG reduces carbon-monoxide emissions. But would be conscious about it otherwise it will never possible. Great read Akshata, always looking for ways to be more efficient around the office. I just wanted to share something I’ve been doing recently. I run an office and have noticed that unused toner was piling up in storage. Looked into returning but that was no good. Tried out the site http://www.tonerconnect.net/ and was impressed. They had quick service and that payout was nice. All of these tips are so helpful and important. 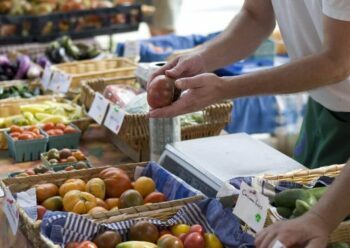 We buy pretty much all organic and I try to find local organic as much as possible too. Great ideas! I love the volunteering suggestion. Good tips! I am guilty of printing stuff I could refer to online later.. It’s a good reminder..